When it comes to cannabis legislation, Australia is falling behind. While medicinal cannabis products are available, they’re not easily accessible. More than two years after being legalised nationwide, access remains severely restricted with patients having to jump through hoops to access cannabis products. But it’s not just the medicinal cannabis space where we’re lacking. The legalisation of cannabis for personal use is already a reality in Canada, Uruguay, and in multiple US states, while it has been decriminalised in many more. And while not yet over the line, New Zealand is a step ahead of us too. NZ is due to hold a referendum on the legalisation of cannabis for personal use next year, with polls suggesting that 65% of New Zealanders support legalising the drug for recreational use. Yet a local push for the legalisation of recreational cannabis is gaining momentum. After undertaking an in depth analysis, global firm New Frontier Data, see even more financial upside, estimating that if recreational use of cannabis was legalised in Australia, the market would be worth more an estimated $5 billion annually. The firm looked at current illicit usage rates and comparable global regulated industries to model what a possible future legal marijuana market would look like. The black market today, is believed to be worth at least $4.5 billion a year, finds the Oceania Cannabis Report. The NSW Greens have proposed allowing Australians to grow up to six cannabis plants of their own and making it legal to light up anywhere that it’s legal to smoke tobacco. 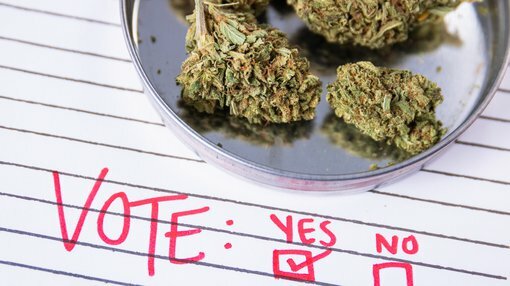 The party is also advocating the establishment of a fully controlled market for the sale and production of cannabis and cannabis-related goods that will allow for anyone (over the age of 18 with ID) to buy cannabis in stores. This is an issue that is about more than just personal freedoms and the beneficial health outcomes, it’s also a crime issue as prohibition has been demonstrated to cause more harm than it prevents. Currently, it’s a crime to grow and distribute cannabis, one which is dominated by organised crime and outlaw motorcycle gangs. Other growers are people growing plants for personal use who find themselves in breach of the criminal law. A regulated market would disempower organised crime, remove criminals’ revenue streams and lessen people coming into contact with illegal drug dealers. And with over one third of Australians have consumed cannabis, there’s strong argument why it should be licenced and regulated like other drugs, such as (arguably more dangerous) alcohol, instead of being dealt with via the criminal justice system. The Greens’ David Shoebridge said, “It makes no sense to treat the consumption of cannabis as a crime. The NSW Greens says its plan will generate an estimated $200 million per year in additional revenue for the State Government from licencing fees, GST and savings on criminal justice spending. The party point out that these funds can be then invested in public infrastructure like schools and hospitals. It would also allocate $75 million to drug and alcohol treatment programs across the state, with a focus on regional and rural areas that have no such services. A further $25 million will be allocated to prevention and harm reduction programs in high schools. But it’s not just the Greens advocating for more lenient restrictions. In the ACT, Labor backbencher Michael Pettersson last year proposed the legalisation of recreational cannabis use for adults in the state. The ACT Legislative Assembly is now considering amending the definition of an offence relating to the use of cannabis in the 'Drugs of Dependence Act 1989'. This would remove the drug from the list of prohibited substances, decriminalise possession of up to 50 grams of cannabis, and allow for the cultivation of up to four plants at home. However, selling the drug would remain illegal – that decision rests with the Federal Parliament. Prime Minister Scott Morrison is unlikely to lend support, having proposed to cut off welfare recipients who have with positive drug test results. Yet we’re just a month out from the Federal election so change could come sooner than later.